So this week I went into a burger joint to get some lunch and ran into a dude who I knew from my undergrad days. Let’s call him Stephen because that’s his name. In the very early days of this website, he was my system administrator. He operated the actual server that my web site was hosted on. This beat up old Linux box contained all my web pages and my e-mail. This thing went down more often than Superman at a men’s truck stop bathroom. I don’t know what that means. Anyways, my web site and e-mail were frequently unavailable. I`d have to call Stephen to get the server rebooted. It was frustrating because it would take sometimes days for it to be fixed. One day, I realized that no amount of free web hosting was worth this, so I started paying for web hosting at another company. Since then, this site has had an uptime of about 99.9%. I haven’t seen Stephen in a while but we joked about the good old days. He’s still working for an IT company and he even offered to host my site again, at $200 a month. I pay about $70 for hosting so I had to turn him down. I don`t need a dedicated server like he was offering. Those were the good old days of free and unreliable hosting. In the past few years, the retail phenomenon known as “Black Friday” in the US has started to influence retailers here in Canada. Traditionally, our day of deeply discounted shopping happens on Boxing Day because of our Commonwealth heritage. This year, some local malls have decided to get in on the Black Friday madness by opening at 7am on Friday. I don’t think it’s a good sign that these Canadian retailers are following what’s happening in the US. First, it’s a holiday down south, so it’s easier to get shoppers out to the stores since it’s more likely Americans will have the day off. In Canada, this Friday is also known as Friday, a day where people go to work. How many Canadians are going to have time to go hit the malls when they need to be at work? Second, in recent years, the reports of injuries and even deaths from Black Friday crowds in the US have garnered much attention in the news. These examples in the US shows that Black Friday brings out the worst in people by fanning the flames of consumerism and capitalism. I don’t see how it’s worth it to trample over an old man just to get a discounted piece of electronics. We don’t need that in Canada and I like to think we have better sense than that. We already have Boxing Day, let’s not over do it. What I don’t mind at all at the online Black Friday sales. Online retailers can discount their wares all they want. Shopping from home is easy, convenient, and it makes sense for both shoppers and retailers. That’s the way to go. This Friday, I hope Canadians stay home and keep some perspective on the whole day. I’m currently typing this post out using my TV as the display. For the last two days, my desktop computer has been having trouble connecting to my home network. Using the same network port, I’ve successfully connected another computer, a laptop, to the network using two different cables. If my logic is correct, that means it’s neither the port, the existing cables, nor my router at the other end. So it must something in my desktop. I’ve run some diagnostics on the network card on my motherboard. It says it’s running fine but that can’t be true. If the on-board card is fried, I have a few options. I go all old school and install an actual network card in one of my PCI slots. I haven’t seen anything like this since the late 1990s or early 2000s. I could get a USB network adapter that is either wired or wireless. Wireless is slower but a bit more convenient. The old school solution is probably the most stable and will get me the fastest speeds. Alternatively, if I were super rich, I’d just get a new computer altogether. For now, my desktop is like a computer from the 1980s, it doesn’t get any new data on it unless you physically plug in a disk or a drive. 1) we have been informed that they are having the most impact on the ground in the hardest hit regions. 2) donations to Red Cross cannot be specifically directed to a specific cause or project. Monies donated get divided by Red Cross at their discretion. We take these decisions very seriously and always look to where we’ll have the biggest impact. Thank you for your question and we look forward to seeing you at your local BP. The reply mentions the Red Cross since I used them as an example alternate charity which was secular but still involved with the relief efforts. I respect their decision. I don’t have all the information they might have so if they decided this was the best possible use of the money raised, that’s their right. I, however, also have the right to choose where my money goes as well, so I made the decision not to join in on this event. I instead chose to donate money to Direct Relief, one of the highest rated charity organizations in North America. With Direct Relief, you can choose where your money goes to and they have very specific outlines of where the typhoon relief money goes to. Make no mistake, I applaud Boston Pizza for their generosity in organizing the event in the first place. As a corporate entity, they were not obligated to do anything like that. I hope they will continue their generosity in the future. I ask you to donate money to the charity of your choice as well. So obviously this is a promotional stunt for Anchorman 2 but Ron Burgundy, aka Will Ferrell, is coming to Winnipeg next weekend. He’ll be joining the TSN broadcast staff at the Tim Hortons Roar of the Rings which I believe is some sort of onion ring convention. I’m surprised they’re going to these lengths to promote a movie, especially when it’s in a market outside of the US. I can’t wait to see what happens next weekend. PIZZA FOR A GOOD CAUSE? Through social media, I found out that the local Boston Pizza in my area and possibly every BP across the country is donating $5 from every medium and large pizza sold on Monday to the relief efforts going on Philippines. This sounded like a great way to both get some food and to help out people in need. 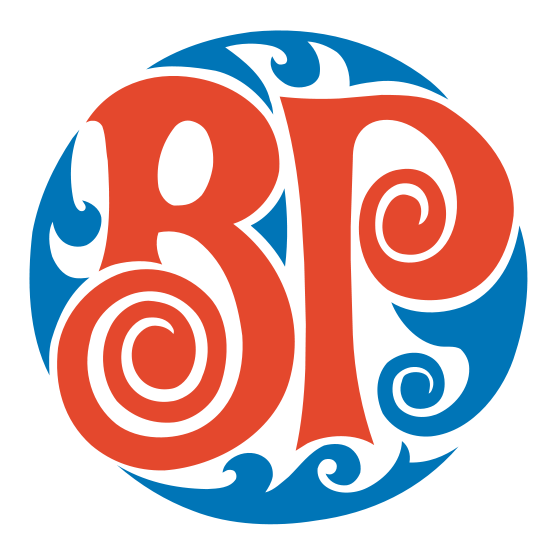 One of the individual Boston Pizza restaurants however, indicated that the money raised will go to World Vision. I don’t know why they did not choose to give the money to the Red Cross. I know some people don’t care about this type of stuff but I strongly prefer to give my money to organizations that have no religious ties. The aid given to people in need shouldn’t have strings attached to it. People shouldn’t have to learn about Jesus just so they can get a bottle of water to stave off dehydration. This is the exact reason why I didn’t just choose the first organization I found to sponsor a child in need. My sponsor child in Africa get assistance without the need to read the Holy Bible. I am going to follow-up with Boston Pizza corporate to see if they are indeed giving all the money to World Vision. If they are, I’ll skip the pie and just donate to the Red Cross. Posted on November 22, 2013 Leave a comment on PIZZA FOR A GOOD CAUSE? This month is November or as most people in the local video game industry call it, Movember. If you recall, I participated in Movember last year even though I knew the results were going to be disastrous, which they were. As I am with a different studio this year, I expected them to do Movember as well. Every place I’ve worked at has done it and with the casual atmosphere of video game studios, Movember is pretty much almost expected. When the end of October rolled around, I was shocked to find out no one was sending out registration e-mails. My current studio is several times larger than PopCap Vancouver was, yet no one seemed to be into raising money for a good cause. It was a bit weird to be honest. I briefly thought about organizing a team myself but as the new guy, it’s tough to get people onboard with this type of stuff when no one knows who you are. Maybe next year. It’s officially cold as balls in Vancouver as temperatures have fallen to just below freezing for the first time this fall. For Vancouver that’s cold as we have the most reasonable temperatures on average in Canada for a big city. This means I’ve switched to my winter coat and the new North Face jacket I’ve been wearing is going to get its insert installed tomorrow morning. I probably should have put that insert in earlier as it was freezing cold today. I know the rest of Canada usually mocks Vancouver when we complain about the mercury dropping to close to freezing. In Calgary, they’ve already had a huge helping of snow on the ground. Out east, temperatures have already fallen well below zero. I’m delicate though! My skin can’t take this dry, wintry air. So on the way home this evening I exited the Skytrain without my umbrella. I hate forgetting my umbrella on transit. It’s been several years since the last time I’ve done this but it doesn’t get any easier each time it happens. Leaving your umbrella on transit is essentially just throwing your money away. My last few umbrellas have cost about $30 or more. I usually buy the small and compact ones, that also have a button that both opens and closes the umbrella. I had the umbrella today because it was raining quite hard. Thankfully, the weather is going to be somewhat clear for the next few days. Even if it wasn’t, I still have my backup umbrella. It’s a cheap one that I keep around just in case I do something stupid like I did today. I will check the transit lost and found tomorrow, just because it’s on the way to work. I won’t be surprised, however, if there is an umbrella shopping trip in my near future. Over the weekend I nearly destroyed my main computer. I got this harebrained idea about a week ago that I wanted to watch HDTV on my computer, even though I could already do that on the TV in my living room. I figured that I could multitask on my computer, surfing the Internet, writing e-mails, and watching TV at the same time. So I ordered an internal TV tuner card. I picked it up from the post office on the weekend. I’ve installed dozens of cards over the course of nearly two decades in many different computers. I thought this was going to be quick and easy. Things went wrong almost immediately. There was an available slot in my computer but because this card just a tiny bit too big, I had to trade slots with my sound card. This was a tiny hassle compared to what I would have to deal with next. Thinking I was done, I started up my computer again and it promptly got stuck on the POST screen. It just hung there and never got any further than that. I feared the worst because it meant I could have broken any number of components while I was installing the TV tuner card. I began taking the cards back out and putting things back to the way they were originally. To my relief, my computer was able to get to Windows again. So I started putting things back in, one card at a time. After a lot of time, I realized that my computer would not boot up with both my sound and TV tuner card installed. It had to be one or the other. Then I tried something new. I took the power away from my Blu-ray drive and left both cards in. To my surprise, my computer got into Windows successfully. Of course, I then realized Windows couldn’t detect my sound card anymore. I turned off my computer, jiggled the card, and restarted. Now I could get sound again. I finally got around to trying to watch TV on my computer but of course, the software couldn’t detect any channels with the antenna I was using. All that work and I still couldn’t get TV on my computer. I decided to cut my losses and just watch TV on my real TV for at least one more night.